China’s Tencent Holdings is considering investing in South Korean game company Bluehole, the parent firm of PUBG, which is behind the world’s current best-selling video game “PlayerUnknown’s Battlegrounds,“ according to industry sources. It could mark Tencent’s biggest investment in a Korean game company as the Chinese firm is seen moving to expand its grip in the lucrative gaming industry. Local news reports citing sources in the venture capital industry recently said that Tencent is planning to purchase Bluehole stakes owned by venture capital firms for more than 500 billion won ($468 million). Combined with Tencent’s 70 billion-won investment in Bluehole last year, the Chinese game publishing giant’s total investment in the Korean firm would rise to around 600 billion won. According to a Bluehole spokesperson Monday, the company ”is currently “in the process of procuring investments (from parties),” but said that it could not disclose the amount or the exact names of the parties involved. If Tencent does follow through with the rumored plans to invest an additional 500 billion won, it would give the Chinese company more than a 10 percent stake in the Korean game company. Combined with Tencent’s 2017 investment -- through which it acquired a 1.5 percent stake -- the Chinese company’s total stakes would rise to around 11.5 percent. It would make Tencent the second-largest shareholder of Bluehole, behind the Korean game maker’s founder, Chairman Chang Byung-gyu, who holds a 20.6 percent stake. The deal in consideration would also mark the biggest investment by Tencent in a Korean company. In 2014, Tencent invested $500 million toward acquiring a 28 percent stake in CJ Games, which has since been renamed Netmarble Games and specializes in mobile games. News of the stake acquisition comes as Bluehole had reportedly been looking to attract new investment from overseas investors from early this year, with venture capital firms with stakes in Bluehole intending to sell their shares at an acceptable price. Several big companies, venture capitalists and private equity funds including Microsoft, Sequoia Capital and IMM Investment had cited interest, but lost the bid against Tencent’s large-sum proposition, according to local reports. Tencent already has a working relationship with Bluehole, as the Chinese company holds the exclusive rights to publishing “Battlegrounds” in China. The two companies have also collaborated to develop a mobile version of “Battlegrounds,” now being serviced to 100 countries worldwide. 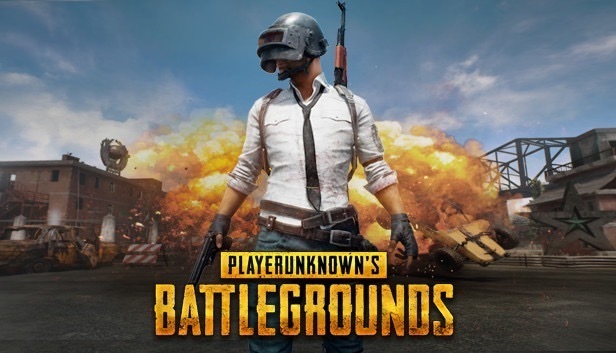 Developed by PUBG, “Battlegrounds” is a survivor shooter game reminiscent of Japanese film “Battle Royale” in which 100 players on an island fight until only one remains. As of this month, “Battlegrounds” had sold more than 40 million copies on Steam, the world’s largest online game store platform. Over 4 million copies of the game’s preview version have also been sold via Microsoft’s Xbox platform, according to Bluehole.